Our Summer Place at the Point located in idyllic Cape May Point has been recently renovated with a new addition for a totally relaxing and stress-free vacation. 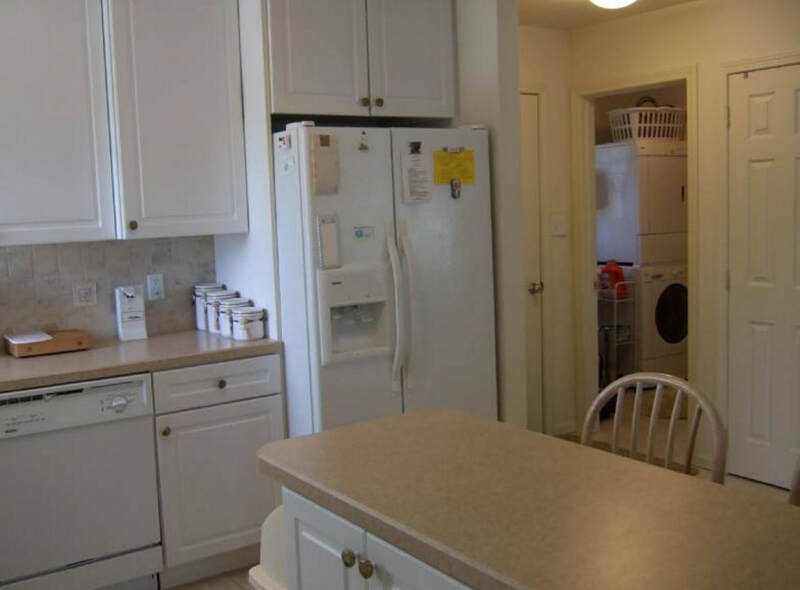 Our home has new kitchen cabinets and counter top, all new appliances, 2-zone central air conditioning/heat, new hardwood floors in the open living/dining room, ceramic tile flooring in the kitchen and carpeting in the bedrooms. 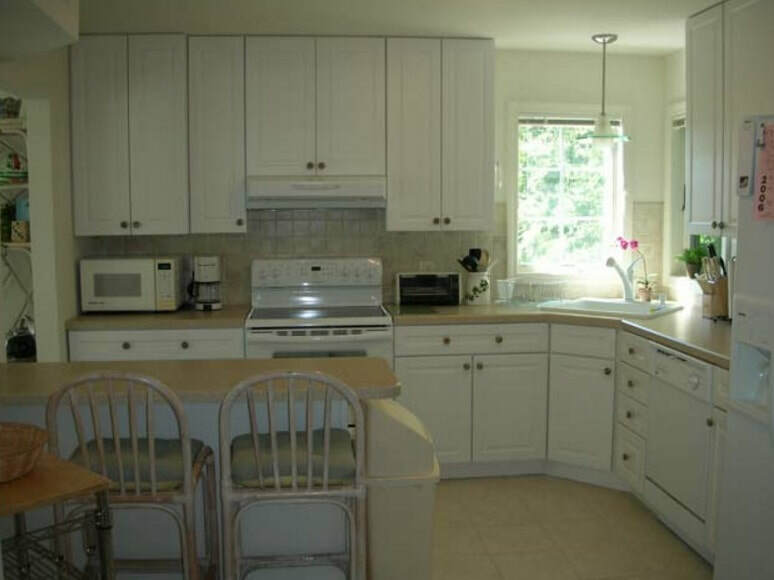 The kitchen is fully equipped with a microwave, toaster oven, crockpot, blender, mixer, toaster, and a large clam/crab/lobster pot as well as a complete set of pots and pans, dishes, glassware and mugs. Additionally, there are ceiling fans throughout the house. The new sunroom has replaced the screened porch and is accessed from French doors in the dining room. 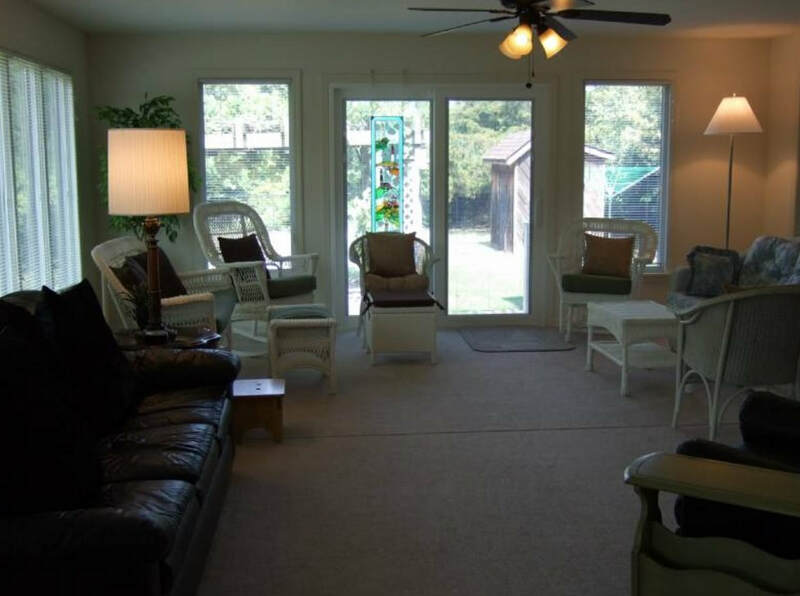 With 11 windows and sliding glass doors, it is almost like being outside. This is my favorite part of the house. It is a beautiful place in the morning for your first cup of coffee. The birds are singing and the air smells great. In the evening the western sunset skies are a beautiful sight as you sit in the loveseat glider, and the night sounds are soothing. 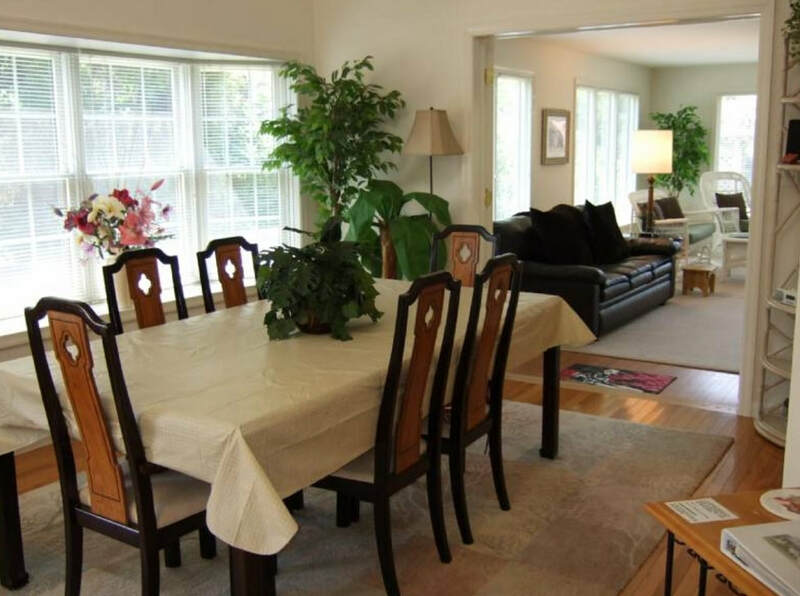 You can close all the windows and turn on the air conditioning in the summer or heat in the winter and enjoy the sunroom all year round. I would hope that you would enjoy the serenity of this room as much as I have. We also have a new brick paver patio in the spacious fenced back yard with BBQ grills for your outdoor cooking pleasure. Our dead-end street has little traffic and is an excellent place for your younger ones to learn to ride a bike. There is plenty of parking with off street parking for two cars in the driveway and ample parking along the side of Oak Avenue with over 150 feet of property adjacent to the dead end street. Our other new addition is a rooftop deck with views of Delaware Bay and the Cape May-Lewes Ferry. The sunrises and sunsets from this spacious deck are beautiful. At night the stars are everywhere! It still amazes me at just how much universe exists beyond our planet. 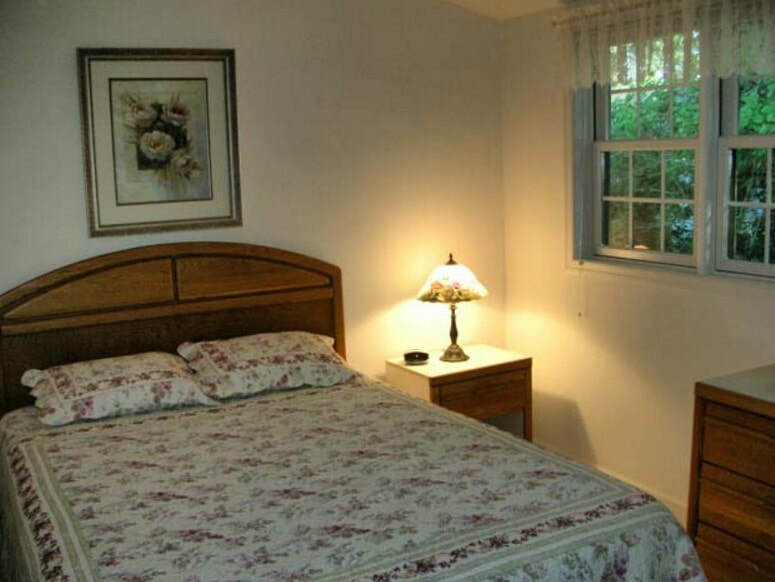 Our home now has 4 attractively furnished and comfortable bedrooms. The two of the three bedrooms upstairs have a queen bed in each. 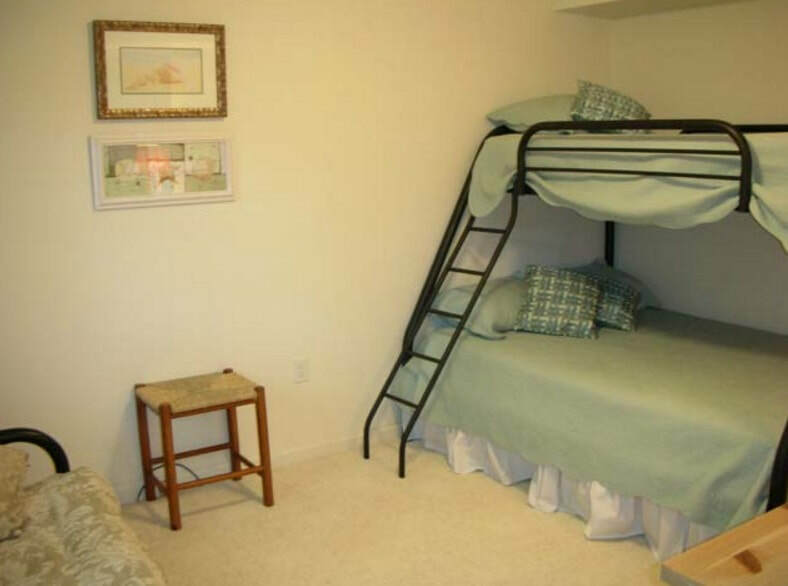 The third upstairs bedroom has a bunk bed that is a twin on the top and a full-size futon on the bottom. A crib is set up in the master bedroom and there are two pack`n`plays that can be used in any of the bedrooms. 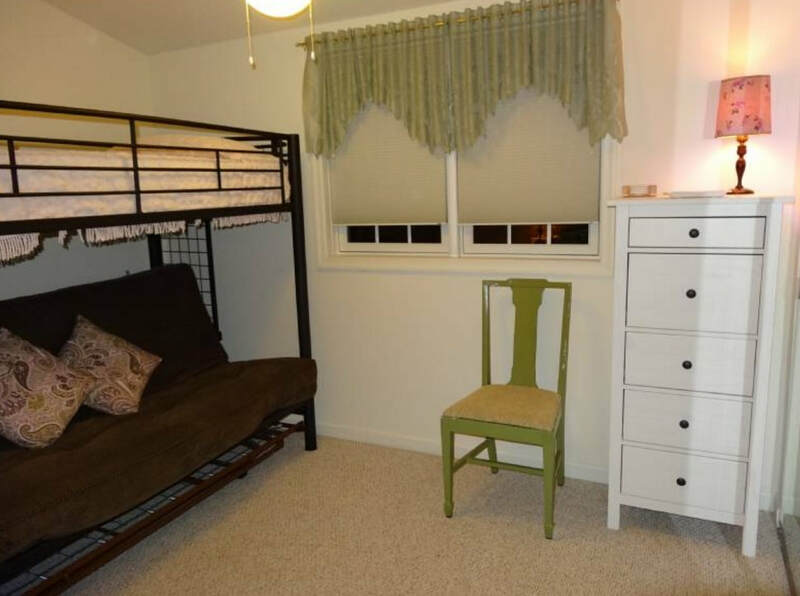 The first floor bedroom has a bunk bed with a twin over full arrangement as well as a full-size futon. 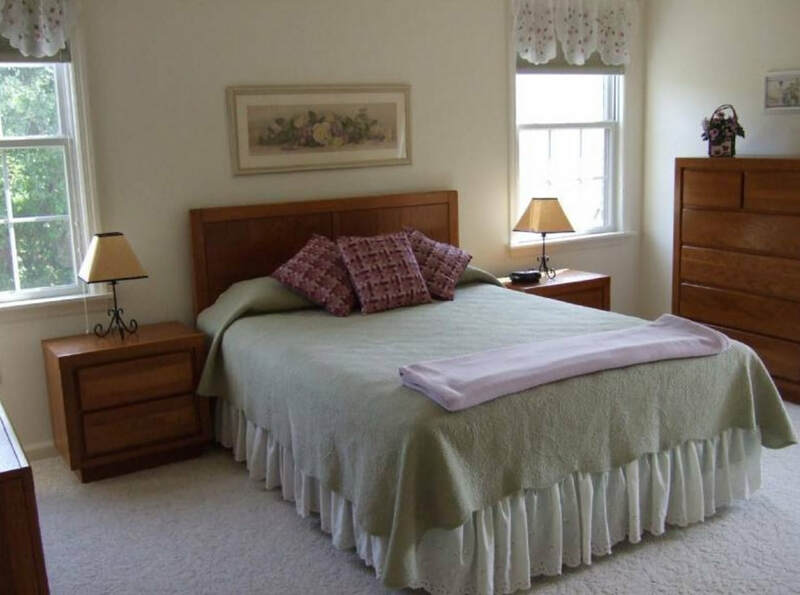 We have provided ample storage for your belongings with hangers in the spacious closets and large dressers and chests in each bedroom. There is no need for that “living out of the suitcase” feeling. With the new addition comes another bathroom. There are now two and a half baths. The first bathroom on the second floor has a tub/shower combination. The new second bath is adjacent to the master bedroom and has a beautifully tiled shower. The first floor has a half bath located near the first floor bedroom. We have provided high speed Internet with a wireless modem for you to access your email, check the local weather, the current tide times, and the latest news. We have a computer with a DVD drive that is available for your use—already plugged in and connected to the Internet. You won`t need to share your laptop with the kids, and the Internet connection is protected. Our Cape May Point beaches are pristine and not crowded. The beaches have recently undergone a restoration/replenishment project and the results are spectacular. Our Summer Place at the Point is about 4 blocks to the beach, easy enough to walk or just a short drive with free parking at any of the Point’s beaches. We are supplying your family with 8 Cape May Point beach tags for your convenience. Upon your return, we have an enclosed, spacious outdoor shower for your use. Since Cape May Point is the birding hot spot on the East Coast, our Summer Place at the Point is the perfect location. For seasoned birders, you probably brought your own guides. For the novice birder, assistance is available. I have provided birding guides along with a butterfly book or two for your use. Birding is something that I enjoy and hope to interest others with the sport. From the sunroom or roof deck many species of birds can be seen in the grape vine-covered pergola in the yard or visiting the birdbath. With a backdrop of cedar trees many varieties can be heard throughout the day. It is very serene and peaceful—exactly how we want your vacation to be. Our Summer Place at the Point is not just another shore rental house. It is our home and we would like you to enjoy it as much as we do for many seasons to come. The bike rides, strolls around Lake Lily, quiet walks on the beach, nature trails, dolphins frolicking in the surf, and our famous Lighthouse—these are the simple times that make the Point so inviting. Like most visitors, you will come and hope that you could stay forever. A $400 security deposit is required for a one week stay. A two or three week stay will require a $600 security deposit. Any rental longer than three weeks will require a $1000 security deposit. The security deposit for an off season week or partial week is $600. These deposits are fully refundable if the property is found clean and orderly with no damage per lease requirements. Check in time is 2:00 pm and checkout is 10:00 am from Saturday to Saturday. Off season rentals require a two-night stay. Please contact owner for rates. This is a smoke free/pet free property. Weekend and off-season rates are also available.